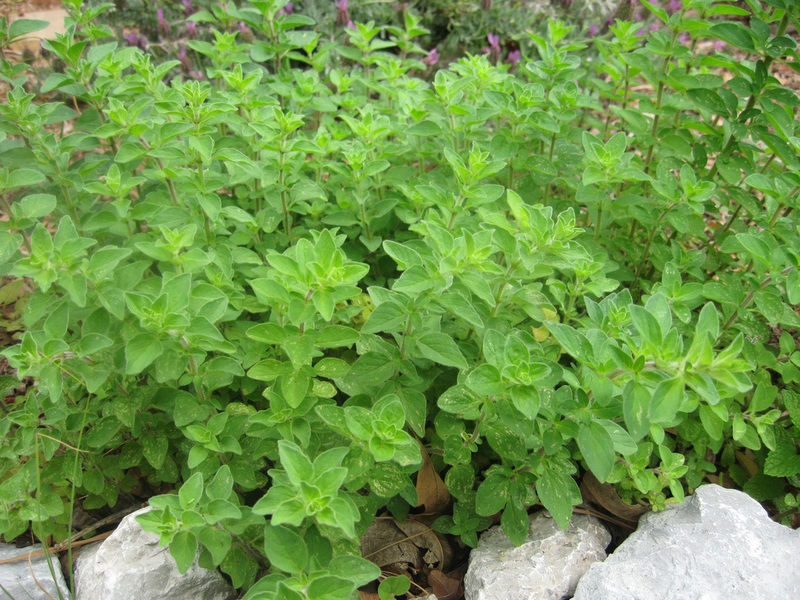 Oregano is often used in Italian dishes and many tomato based dishes — sausages, stew, with lamb, pork and chicken, with omelets, pizza, cabbage, in minestrone and in fresh salads. It is also one of the ingredients in chili powder. Oregano tastes great with tomato, egg, or cheese-based foods, and is also a great addition to many lamb, pork, and beef main dishes. oregano and brush on chicken. Arrange skin side down in pan (pieces shouldn't touch). over. Wash potatoes, but do not peel them. Quarter them lengthwise and add to pan. Baste. Bake until chicken and potatoes are done and golden (about 30 minutes). Dissolve yeast in lukewarm water. Add oil, sugar and salt. Stir in flour and knead about five minutes. Place the dough in an oiled bowl, loosely covered and let it rise until doubled. When doubled, punch down and roll or hand stretch to a 12" circle. Place dough in a greased 12" pizza pan or a cookie sheet. Cover and let the dough rise again. When it has risen, prick it with a fork about every ½ inch and bake at 475° for 5 minutes.